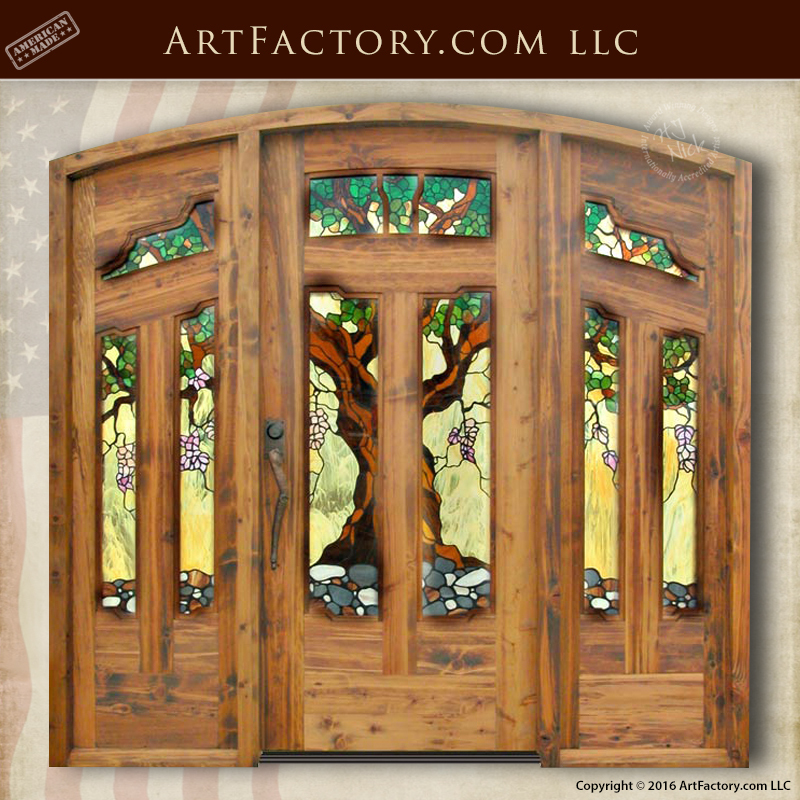 This beautiful, custom stained glass craftsman door is renowned artist H.J. 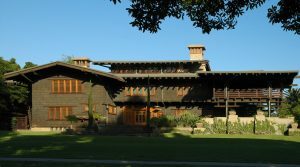 Nick's modern interpretation of Greene & Greene's entrance door from The Gamble House in Pasadena, California. Built in original hand and craft, this is a unique, original work of art built by the hands of master craftsmen to stand the test of time. In other words, this is not a reproduction quality knock off that has been mass produced or built with substandard materials. It is a fine art quality door built with the same all natural materials, and to the same quality standards that Greene & Greene would have used over a century ago. It is our steadfast belief that correct methods and materials are essential when creating a historically inspired piece. To be more specific, this custom stained glass craftsman door is built with solid, full length, naturally air cured American timber. Like all of our wood products, it is hand hewn with mortise and tenon joinery for construction you can count on. 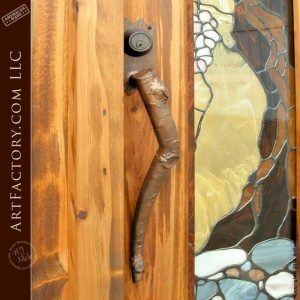 Furthermore, all of the custom door hardware is hand forged from solid wrought iron by classically trained blacksmiths. The stained glass is hand cut, and kiln fired by master artists. Finally, the wood is finished using a multi-step hand rubbed process that blends the finish into the grain of the wood. Put all of this together, and you have an investment quality entrance door that is of a quality that is unsurpassed anywhere at any price. 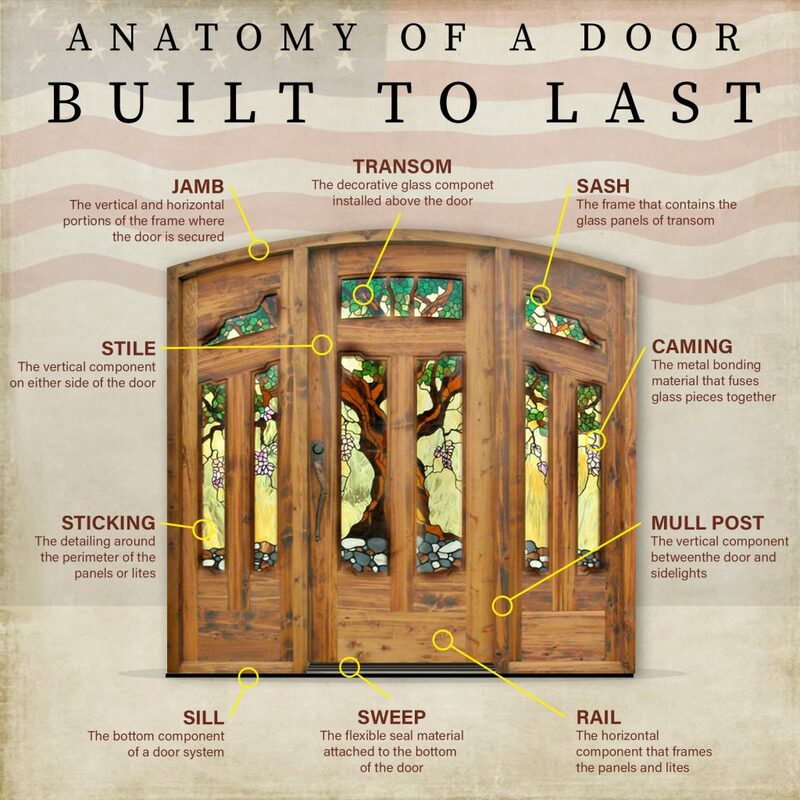 Our products have been handmade in the USA by master craftsmen since 1913, and still are today. 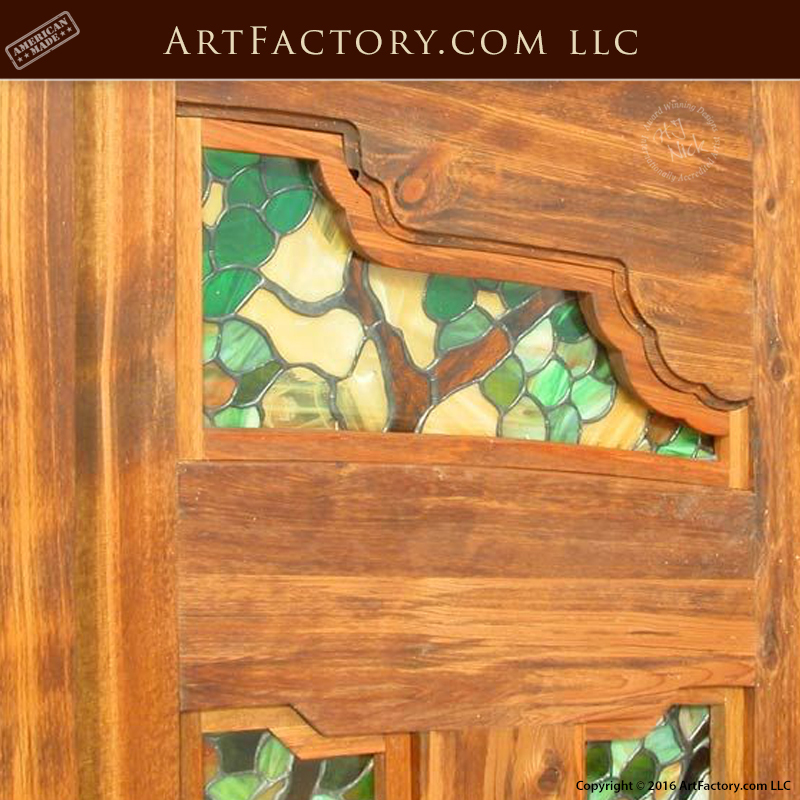 Call ArtFactory.com today at 1-800-292-0008 for a quote on a stained glass craftsman door, or any of our other fine our quality custom doos.